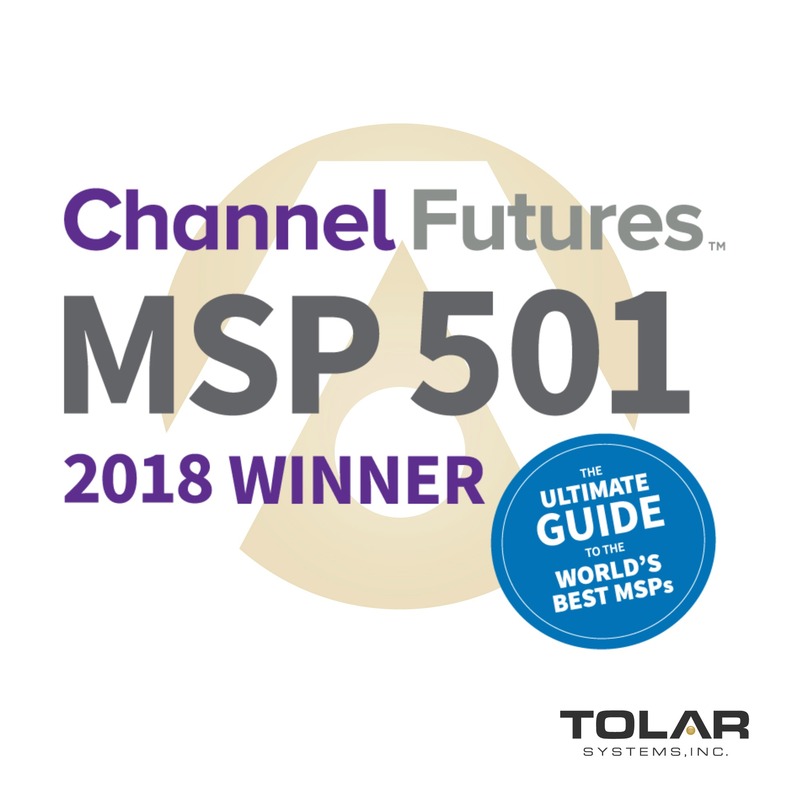 Tolar Systems' Vice President Phillip Poarch was recently interviewed by IT managed service industry publication, Channel Partners, about our recent selection as the MSP 501 Newcomer Award winner. The focus of the conversation was business transformation. Phillip's advice applies not only to other organizations in the IT industry, but really to any organization, large or small, that wants to grow and transform its business. Learn more from Tolar Systems. Phillip spoke with Channel Partners' Edward Gately about how Tolar Systems transformed from a small "break/fix" organization in 2012, to a fast-growing managed service provider (MSP) in 2018. His advice for transforming your business? Be intentional about change: According to Poarch, Tolar Systems' transformation from hometown break/fix provider to globally recognized MSP began with a single decision to change the company’s perspective on what it provides to clients. That decision drove us to revisit our understanding of why we're in business. Focus on purpose: There's a lot of discussion these days about knowing, "what's your why?" Why is your organization in business? As a managed service organization, our purpose is to be a business partner that can help our clients drive more value from their technology. Instead of selling hours and one-off projects, Tolar today focuses on solutions and relationships. Discover your unique ability. Every successful organization has one thing they can do better than anyone else. For us, that's developing deep relationships and leveraging those to help our clients grow with technology. Discover what your organization's unique ability is, and you hold the key to your organization's future. Learn more about Tolar Systems' transformation and our selection as MSP 501 Newcomer of the Year. Click here to read the full article. If your organization is ready to transform, Tolar Systems can help. After all, we've been there ourselves. Let us help your organization grow and transform through IT strategy and support. Contact us today.